Windows 8 on a desktop is best used with shortcuts. The sooner you learn them, the easier the OS becomes. Some keyboard shortcuts have been modified to work more smoothly, coupled with the changes to how the Modern interface, have made the Windows 8.1 Update 1 keyboard shortcuts better than ever. 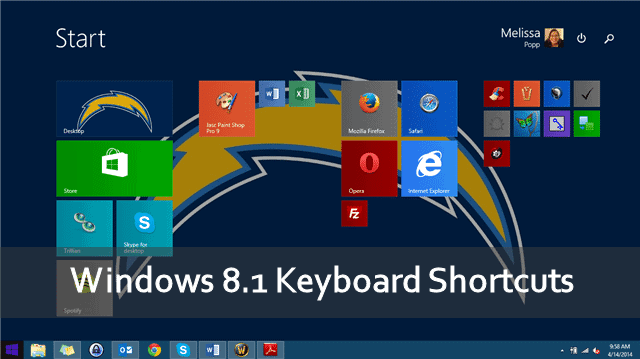 If you haven’t used keyboard shortcuts in Windows 8 or 8.1 so far, you’re missing out. We’ll give you a breakdown of the Windows 8.1 Update 1 keyboard shortcuts and how you can use them to take advantage of everything Windows 8.1 has to offer. 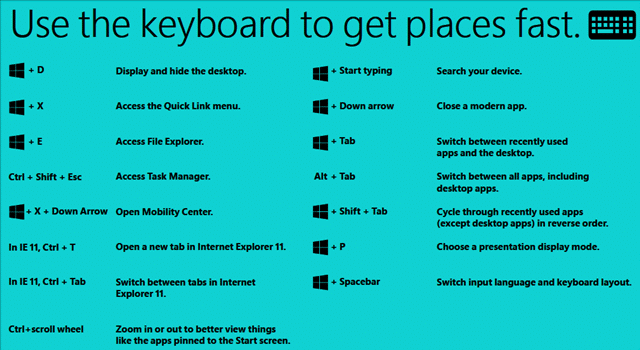 Let’s look at the keyboard shortcuts and touch gestures in Windows 8.1. The sooner you learn the benefits of keyboard shortcuts in Windows 8.1, the easier it will be to get used to how the OS works. Since Windows 8 and 8.1 were meant to be more touch-friendly, keyboard shortcuts and touch gestures with your mouse can be more beneficial than holding onto the way you used to utilize Windows. 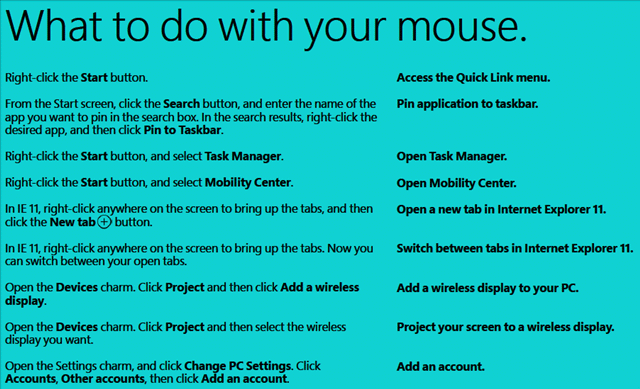 Touch gestures allow you to use your mouse to control how Windows 8.1 Update 1 interacts with what you’re doing. By using your mouse. Again, just like with the Windows 8.1 Update 1 keyboard shortcuts, when you use the tools available to control the way the OS works, the easier it becomes to use Windows 8.1. It takes some time to get used to how Windows 8 and 8.1 work. When you master the keyboard shortcuts and touch gestures, you can use Windows 8.1 the way it was meant to be used. Before you give up on the changes from Windows 7 to Windows 8, learn how to use the keyboard shortcuts and touch gestures and you’ll see how much easier the OS is to use the way it’s designed. We all know Windows 8.1 isn’t what we expected it to be. Whole Microsoft has conceded to some consumer demands to make the OS more desktop friendly, this is the future of the Windows platform whether we like it or not. When you put aside your frustration and learn how to use the OS the way it was intended, it becomes easier to use day in and day out. The above keyboard shortcuts and touch gestures will make Windows 8.1 Update 1 that much more responsive when you’re using the OS every day.